Put something on television with a Sherlock Holmes vibe and the chances are that it will catch my eye. The male anti-hero concept is one that has been used quite often in recent years and while it runs the risk of becoming too commonplace it can also make for compelling viewing if presented properly. At this time of year, I always find myself perusing the pilot episodes for new shows. Across the pond in America, they seem to have a much better grasp on what entertaining television is and so with the exception of Doctor Who, most of what I watch is American (so grateful for my subscription to USTVnow) . One pilot that really caught my eye this year is “Forever”. 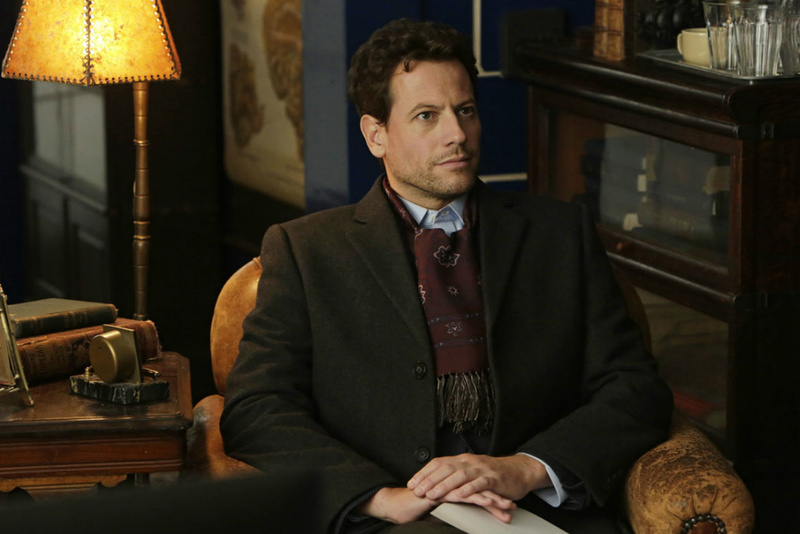 It follows Dr. Henry Morgan (played by Ioan Gruffudd) a highly skilled and extremely intelligent medical examiner who just also happens to be immortal. He dies of course, but he has died a lot of times over the years. It just so happens that every time he dies, he emerges inexplicably and naked from a nearby body of water. “Forever” isn’t original in the slightest. The way in which Dr Morgan rattles off his observations and deductions is of course very much like Sherlock Holmes. The way the flashbacks are used to show the life of this immortal being is somewhat reminiscent of “Angel”, the hinted season long story arc plays out like any other mystery show and dying and coming back to life instantly reminds me of Captain Jack Harkness. It’s unoriginal but it’s entertaining and captivating. Alana De La Garza as homicide detective Jo Martinez is a great choice. De La Garza has been on my radar since she was in an episode of Smallville around ten years ago. She’s a seriously underused talent and it’s great to see her get a substantial role in a show which actually interests me. I’m not interested in Law and Order or CSI so I never really caught her work in either of those. To top it off, we have Jeff Goldblums father from Independence Day Judd Hirsch portraying Abe. The adopted son of Dr Morgan. The scene in which Morgan and Abe are brought together actually intrigued me and I really hope that we see more of that relationship through flashbacks. The one problem that the show faces is trying to find new and inventive ways to kill off its lead character. For me, Jack Harkness’ deaths were becoming dull after a while. I think that when you have to do it so often it becomes hard to keep it fresh. We’ve already seen Morgan die in a subway crash and by falling off of a roof. Two rather dramatic deaths in my opinion, so how do they keep them as dramatic and interesting through the rest of the series? All in all, Forever is definitely worth watching. What it lacks in originality it makes up for in entertainment. I do however get the feeling that it won’t attract enough viewers. I hope I’m wrong but if it does get cancelled then I hope that we at least find out the mystery of the man on the phone beforehand. Previous PostThe anger withinNext PostI’m nervous, are you?